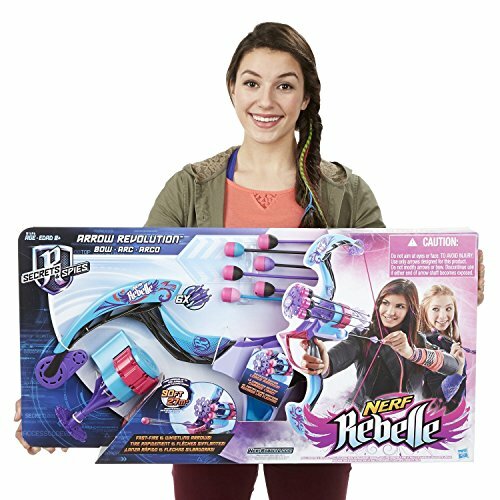 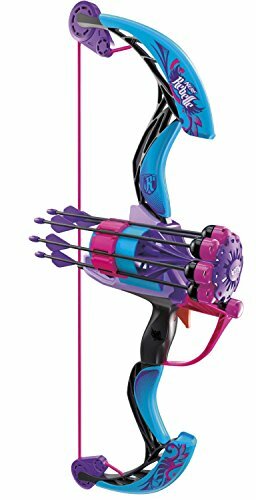 Nerf Rebelle Secrets and Spies Arrow Revolution Bow Blaster | The Best Spy Tech Store Online! 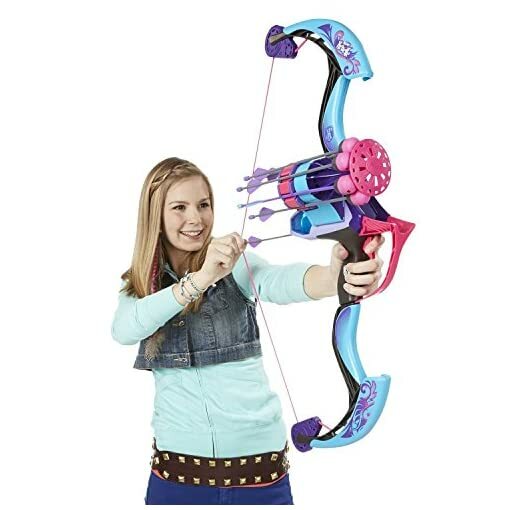 Take aim for undercover missions and secrets with the Arrow Revolution Bow blaster! 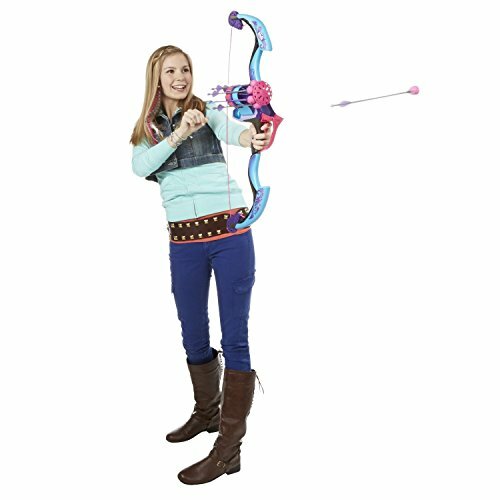 With this powerful bow, you can unleash 6 whistling arrows with fast fire without reloading, and blast arrows at targets up to 90 feet away. Feel the rush of real bow action as you load the arrows in the rotating quiver and pull the trigger to let each one fly! 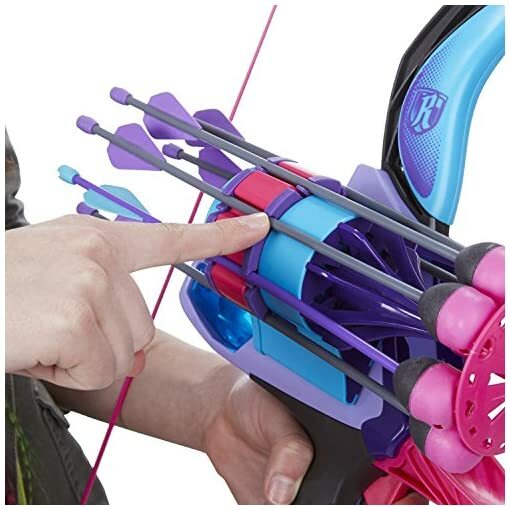 The rotating quiver loads each arrow for you. 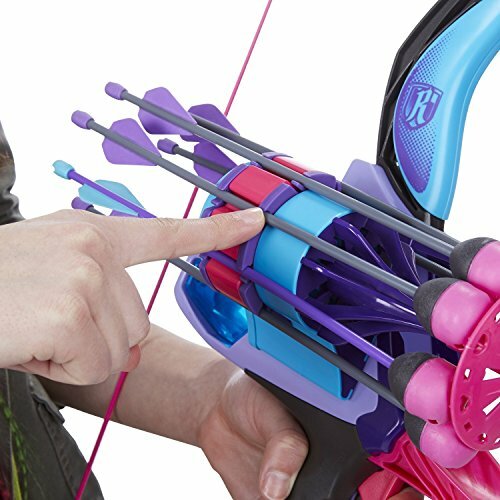 With its stylish design and bright colouring, the Arrow Revolution Bow shows your spy style!